Back in 2010, Laszlo Hanyecz paid for two pizzas using Bitcoin, making it the first time any substantial purchase was made using the cryptocurrency, and Bitcoin Pizza Day was born. Bitcoin Pizza Day is still celebrated among blockchain an crypto enthusiasts, who continue to believe that cryptocurrency will soon become an essential part of the global economy. This year, Microsoft has joined in on the celebrations and has announced ‘The Last Slice’ challenge, offering five lucky winners a chance to win $10,000 each. 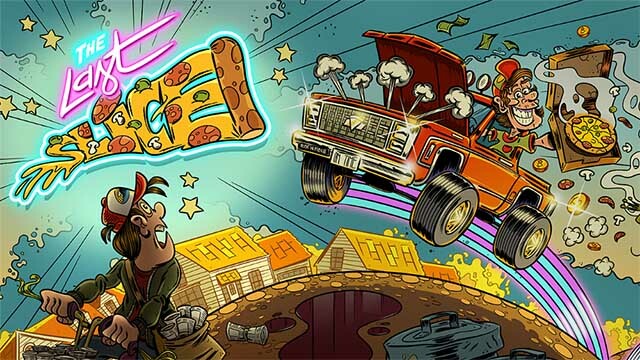 The challenge involves a retro arcade style game developed by the Windows team, which requires you to take up the role of the first Bitcoin pizza delivery guy and deliver the right pizza to the right house in time. The first five players to complete the challenges will get $10,000 in the Bitcoin wallet or bank account of their choice. But take note, that the game is no walk in the park. According to Microsoft, the game has been designed “to push even the most gifted gamer to their absolute limit.” The Last Slice challenge is already live, but in order to get started, you’ll first have to head to this github repository and download the game’s files. Participants will also be required to have an active Microsoft Developer Account, a Community version of Visual Studio 2017 in order to view the game’s source code and MonoGame 3.6 to run the game. The game has been divided into three challenges, with the first challenge requiring users to answer a few questions about the game before they can move to the second challenge. The second challenge will require participants to make a service call to request a puzzle and once that is completed, participants will receive one entry for a random drawing which will take a small subset of participants to the third challenge. Participants who are selected for the third challenge will be notified via email and will be required to submit their shipping address. All participants who reach the third challenge will also be awarded a Microsoft Internet of Things (IoT) kit with an estimated market value of $60. Participants will then be required to make use of the kit to create their entry and perform the final challenge. Entries for the first challenge are open until June 17, so you better hurry if you think you have what it takes to deliver ‘The Last Slice’.